Lizzie Koch, a higher level teaching assistant at Manor Primary School, Uckfield, has just had her second book published. To celebrate, she treated staff to one of her delicious cakes decorated with a picture of the book’s front cover in icing. 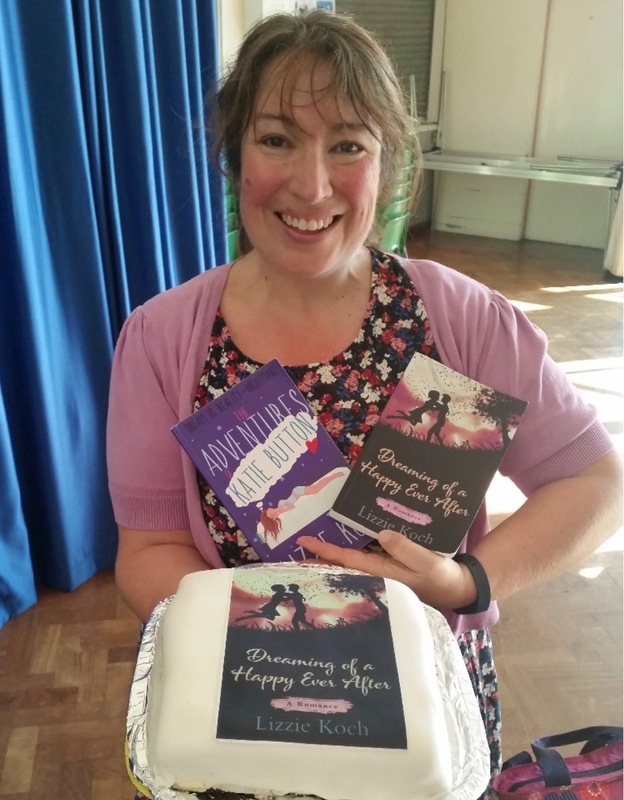 Author Lizzie Koch celebrates publication of her second book by making a cake for staff at Manor Primary School where she works. The cake features a picture of the cover of her new book. Lizzie’s novel, ‘Dreaming of a Happy Ever After’ is a follow up from her first book ‘The Adventures of Katie Button’. Lizzie says although it features the same characters, you could easily read and enjoy the second story without having read the first one. All at Manor are proud of Lizzie who has followed her dream to be an author. She works with children across the whole school and is described as a wonderful role model for them all. Lizzie published her first book two years ago and you can read about that in a previous Uckfield News story here. You’ll also see a picture with that story of Lizzie’s first celebratory cake. Could you spare time to help a carer?